Allow our Time Mysteries: The Final Enigma Walkthrough to be your companion as you race to repair the past and save the future. Merlin, the most powerful wizard of all time, has been defeated, and you’ll need every trick in the book to face down the one responsible: the evil Man in Black, who has altered the past in the hopes of creating a magical apocalypse. Our insider tips, step-by-step instructions, and custom screenshots will help you as you race to set the past to rights before the future is lost forever. Thank you for joining us at our Time Mysteries: The Final Enigma Walkthrough, where you’ll find all the information needed to jump through time and stop the coming apocalypse. Here you’ll find a plethora of custom screenshots and step-by-step advice that will help you find important objects and goals, solve puzzles, and conquer time travel. We hope you enjoy our Time Mysteries: The Final Enigma Walkthrough. 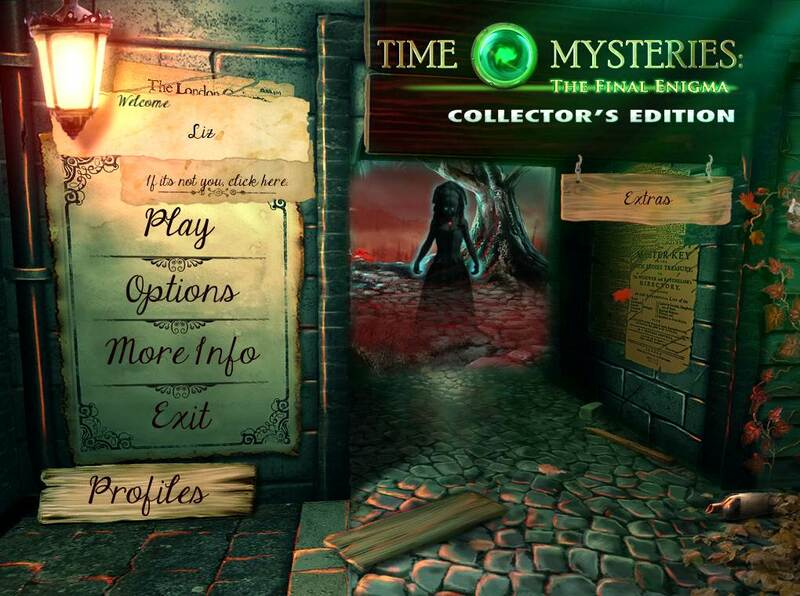 In Time Mysteries: The Final Enigma you play the part of Esther Ambrose, a descendent of Merlin who has been given the task of traveling through time in order to fix the past and undo the end of the world. When Merlin’s wife suddenly attacks him it starts a chain of events only you can stop. But it soon becomes apparent that the defeated sorceress may not be the true villain after all. Now you must not only save the world, you have to uncover who you’re saving it from. Difficulty - Two modes: Regular and Expert. In Regular mode the hint and skip buttons recharge more quickly and active zones will be indicated by an occasional green glitter. In Expert mode the hint and skip buttons take longer to recharge and there are no green glitters. Arrow Cursor - When you cursor turns into an arrow, it means you go move in that direction. Mouth Icon - This will appear to indicate you can interact with another character in the game. Magnifying Glass Icon - When your cursor turns into a magnifying glass, it means you can zoom into an area to get a better look. Hidden Object Scenes - Hidden object scenes will be indicated by green sparkles. Inventory - Your inventory can be found at the bottom of the screen. Diary - Your diary is located in the lower left corner of your screen (near the hint button). There is a tab for notes, which you can read to keep up-to-date on the story line, a tab for your Objectives, and one to go back to game play. Time Travel Device - The Time Travel Device is located in the lower right hand corner of your screen and operates a bit like a map. Click on the device and then a time; you will then be able to select a place in that time to travel to. Areas with objectives will be indicated with a green exclamation point and areas that can newly be explored will be indicated with a green question mark. You will need to walk to an area for the first time before you can teleport there. Menu - The menu button is located at the bottom right portion of your screen between your inventory and the Time Travel Device. And those are the basics for playing Time Mysteries: The Final Enigma; good luck! 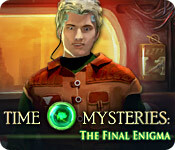 We hope you enjoy our Time Mysteries: The Final Enigma Walkthrough.